After hours in front of a federal judge on Thursday afternoon in Rockford, Ill., Cavel International Inc., a slaughterhouse in Deklab, Ill., that processes horses, was granted an extended temporary order allowing it to continue operations while it challenges a state law that would force it to close. 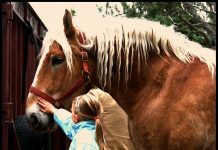 Cavel is the last remaining plant in the United States where horses are slaughtered for human consumption overseas. In late May, Illinois Gov. Rod Blagojevich signed a law banning the import, export, possession and slaughter of horses intended for human consumption. Soon after, U.S. District Court Judge Frederick Kapala granted a temporary restraining order preventing state and DeKalb County officials from enforcing the ban while he considered a lawsuit filed by Cavel claiming the Illinois law is unconstitutional. Kapala extended that order on Thursday, allowing the plant to stay open for 10 more business days, unless he makes a decision in the case before then. The other two last remaining slaughter plants that process horses, both in Texas, closed earlier this year. When the plants tried to appeal the closures, a federal appeals court upheld a Texas law banning horse slaughter for the sale of meat for food, and the U.S. Supreme Court refused to take up the case. The Cavel plant has been in operation in DeKalb for about 20 years and slaughters about 1,000 horses a week, according to plant officials. Too bad — but I think it’s only a temporary reprieve for the plant. The shame of it all is that so many more horses will have to die because of this temporary order!! Cattle and chickens are bred and raised for food… horses are NOT. This is simply wrong. This plant slaughters innocent horses that were once something somebody played with for a while, and then just discarded like an old toy. It’s not fair – these are living creatures with feelings and memories. It is immoral just like it would be to slaughter cats or dogs for food. Why do people spend money to build plants to kill horses for profit instead of building places to sell them to people for permanent homes? This type of thing is archaic and disgusting and I really hope this place shuts down forever. Next, we need to make sure they ban transport to Canada and Mexico where they still have slaughter houses. Horses, cats, dogs, rabbits, and even children are given away by people who don’t care for them anymore. Horses deserve a second chance, they deserve a way to be adopted just like all the others. Thnak god someone still has one brain cell still working. Horses are livestock not pets. 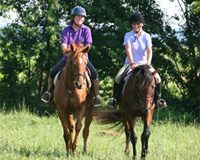 We need a place to take injurded and unwanted horses. I read at a site all these bleeding hearts about keeping horses alive but at the same time no one was will to take in unwanted horses. Its always someone elses problem. Thats not right!!!!!!!!!!!!!!!!!!!! I think slaughter of healthy, perfectly sound and sane horses is wrong. 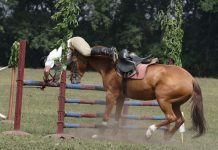 BUT if a horse is too injured or unsteady health and mind wise, then putting them down in a CONVENTIONAL way is alright. the way slaughter houses do it is completly barbaric. Painlessly is ok, but only for the ones that were suffering already. Very informative article. Is there ANYTHING we can do to shut this horrific place down permanently???? My heart aches for the 1,000 horses a week slaughtered! This man should be forced to pay restitution to the Humane Society for all of those innocent horses who lost their lives!!!! The thoughts of eating your pets that have been part of your family is wrong!! Close these plants up everywhere! I can understand in a life threatening situation is would be unavoidable but don’t we have enough to eat without eating your family members? The last remaining plant must be closed.I’m surprized that it is still open.Many people in Ameica are against horse slaughter. The posts do not know what they were talking about. FREEDOM is freedom and I suppose they are entitled to their opinion but they have no idea what they were talking about. There are many places on the globe that eat many things that we would not eat here in America. So who made them judge and jury. Business is Business and closing the slaughter houses put many people out of work. The salughter houses should be opened. They serve a purpose.